Lake Pointe Inn is located in the historic Garrett County. While you’re in the area this summer take some time to check out a few of these historical sites in Maryland. Anderson Chapel, which was built in the late 19th century, is a Carpenter Gothic style, gable roofed, Episcopal Church. Baltimore and Ohio Railroad Station at Oakland is a historic brick railway station. It is a beautiful example at a Queen Anne style railway station built in 1884. Bloomington Viaduct is a sandstone railroad bridge that was built in 1851. It spans the northern branch of the Potomac and used to be used to carry the original Baltimore Ohio Railroad main line. Borderside, an Italianate style mansion, and stands out among historical sites in Maryland due to its bell-curved tower. It was built in 1870 for William A. Brydon. Casselman Bridge is a stone bridge built in 1813. At the time the bridge was the largest stone arch with a span of 80 feet. Creedmore is a Queen Anne style historic home that includes many unique features. The home was built in 1902. 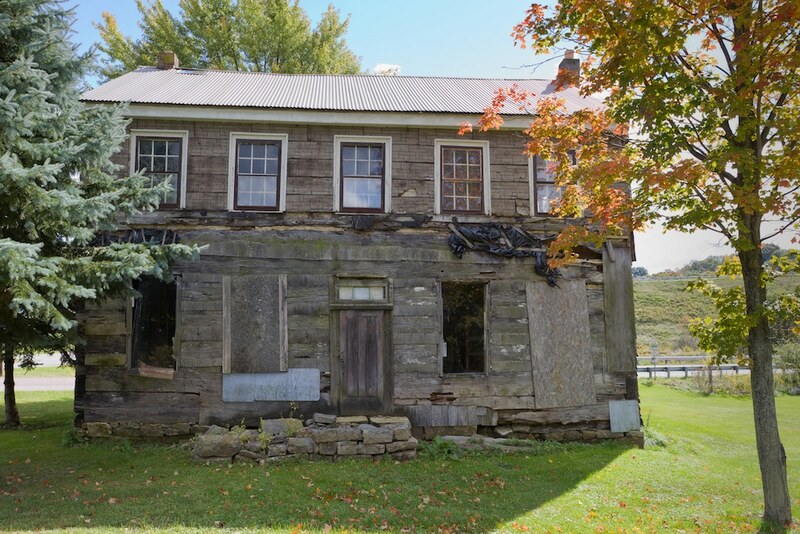 James Drane House is a log cabin built by James Drane the first settler in the area. It was built around 1800. Fuller-Baker Log House is a log house built in 1815. It’s significant among historical sites in Maryland due to the fact that it was the home of the state’s first governor, Thomas Johnson. It is named for two of its later residents. Garrett County Courthouse designed by James Riely Gordon was built in 1908. It is a neo-classical renaissance revival style courthouse. Glamorgan, also known as Kittery Hill, was built in 1888 as a summer home. It is built in the Queen Anne style and is located in Deer park. Hoye Site is a archeological site on the east bank of Youghiogheny River. It was occupied from around 1000 to 1500. Inns on the National Road is a section of the road filled with historic houses that were used as inns. These historical sites in Maryland date back to 1807. Kaese Mill is a gristmill built in 1868. It is a water powered mill and is the only fully operational mills in Maryland. Mercy Chapel at Mill Run is an octagonal building built I the carpenter gothic style. It was built in the mid19th century and is one of the few still standing. Meyer Site, and archaeological site, is located on Chestnut Grove Road. It is where a Monongahela culture village was. Mountain Lake Park Historic District is a town made up of 145 buildings. It was built in the 1880’s as a summer resort. Most are built in the Queen Anne Style. Oakland Historic District is a historic district that represents the evolution of a rural countryseat. It was built fro the mid-19th to the mid 20th centuries. Pennington Cottage is a dark wood shingled house built in the late 19th century as a summer home for Josias Pennington. Stanton’s Mill is a gristmill complex constructed in 1859. It consists of 5 buildings. Tomlinson Inn and the Little Meadows is a large stone building constructed in 1818 and was a stop on James K. Polk’s Inauguration tour. When you’re planning to visit these historical sites in Maryland, don’t forget to book your stay at Lake Pointe Inn. Our rooms and suites are the ideal place to kick back and relax after a day of sight seeing in Garrett County. Plus, your stay includes a full breakfast each morning so you’ll have the fuel you need to take on all of the adventures the day may have in store for you. At Lake Pointe Inn you’ll truly experience the best Deep Creek Lake has to offer. We can’t wait to see you soon! Fuller-Baker Log House photo courtesy Generic1139 via Wikimedia Commons.